Green smoothies and holidays? Yep! Hope everyone had a nice holiday weekend. I couldn’t have asked more and it is always a special time to be surrounded by family and friends. This year our holiday celebrations spanned almost the entire month of December. No complaints here but what a battle to continue to eat well. Holiday Survival – How’d you do? I made it through the first stretch of holidays without giving in to every single cookie, treat, or chocolate in site! I usually have zero will power, because I have both a sweet tooth and a salty one, but decided that this year I really didn’t want to have to work out even harder after the holidays to lose the weight I gained by over-indulging. Instead, I tried really hard to keep my workout schedule intact, continue with a green smoothie in the morning and eat in moderation. It doesn’t hurt that my husband is currently not drinking alcohol (as part of an elimination diet) and so I also have had much less to drink than I normally would over the holidays. It is never too early to start. This is especially true if you have some time off between now and New Year’s like so many people do. I always find the easiest time to try to eat healthier, exercise more, or change a habit is when I’m away from the office. If your New Year’s resolutions include eating healthier and/or getting more fruits and veggies then check out one of the resources below for a great tasting green smoothie. 21 Delicious “Green” Smoothies That Prove Healthy Can Taste Gooood – This Buzzfeed Roundup features “green” smoothie recipes from some of my favourite food bloggers. Need the green smoothie formula? Check out this easy to follow formula to make a great green smoothie every time from Simple Green Smoothies. The Vitamix Guide on How to Create Your Custom Green Smoothie makes it so simple plus they give you step by step instructions on how to get the best blend. 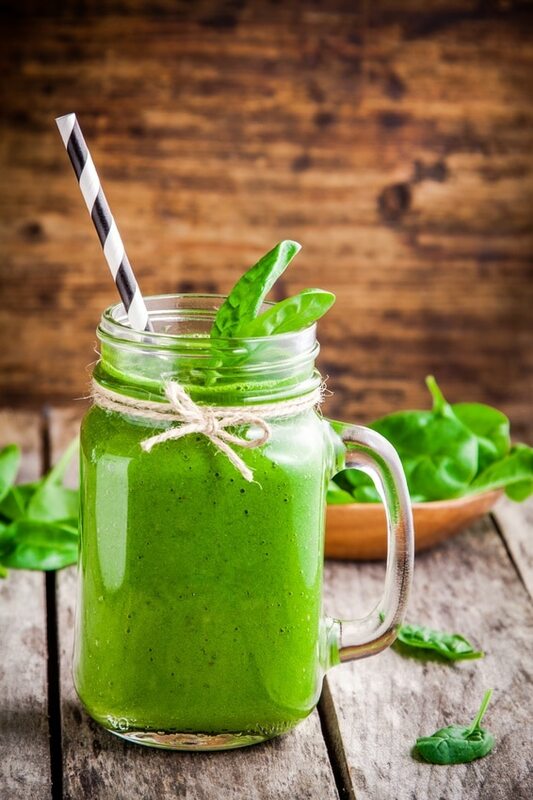 Positive Health Wellness’ The All In One Guide To Making A Green Smoothie provides tons of advice and varied tips on enjoying green smoothies including some of the best ingredients to use and the best toppings. Good Luck! I’m off to make my morning green smoothie. Thanks Jo! Good Luck with your new green smoothie routine 🙂 Happy New Year – I know 2016 is going to be a great year for you.